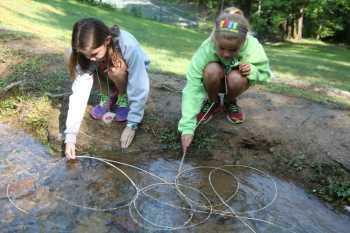 The campers who attend Rockbrook's summer camps are kids, children and teens. 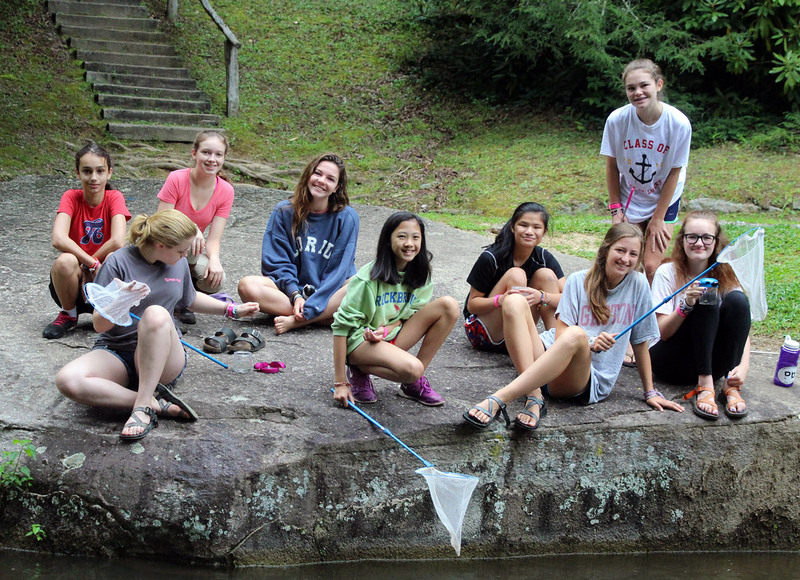 These are girls camps for youth ages 6 through 16, for campers who have finished kindergarten through the 10th grade. 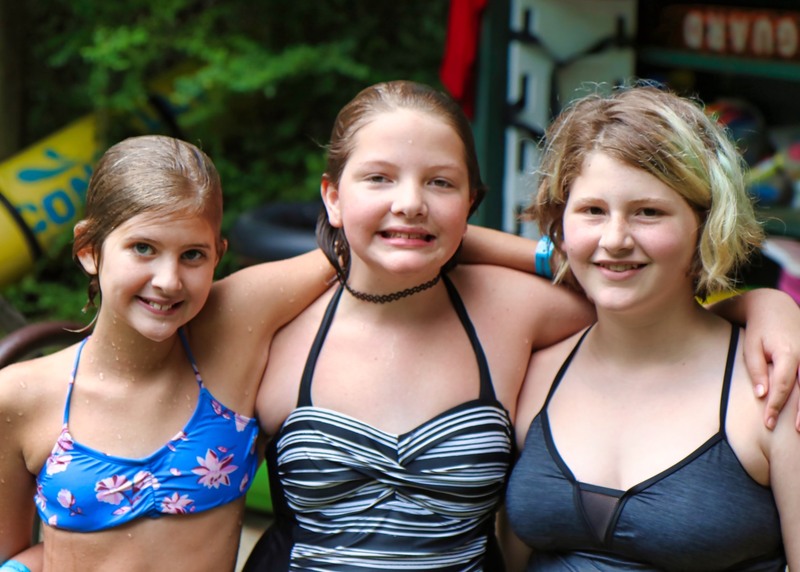 Here you can learn more about Rockbrook's campers— where they are from, news about their lives back at school, their writings and perspectives about camp, their parties and reunions, and why girls love this camp so much. Part of the reason most of us come to camp is because we want to grow. Another way of saying this, of course, is that we want to be challenged. As I walked around camp today, I realized how unique Rockbrook is in giving each camper the freedom to make choices about how to stretch herself. Girls choose their own activities, and within those activities, there is a lot to do, but girls are constantly encouraged and given the choice of how they want to stretch their capabilities. As I walked around camp today, I saw a lot of stretching. This was literal in gymnastics, because when I arrived, everyone was stretching their bodies, loosening up for the games ahead. The campers were excited to play the game “Stick It,” in which someone tells them a move right before they jump on the trampoline, and they have to stick it afterward. In the class, there was a wide array of ability levels. Some girls had grown up as gymnasts whereas others had never done a cartwheel. Everyone, though, had fun, and were able to challenge themselves. Whether they wanted to finish with perfect form, or whether they learned what a pike was, everyone stretched themselves in ways they chose to. The counselor was around the whole time, encouraging every girl, whether she was the star tumbler or the novice. The same spirit was alive and well in sports and games. 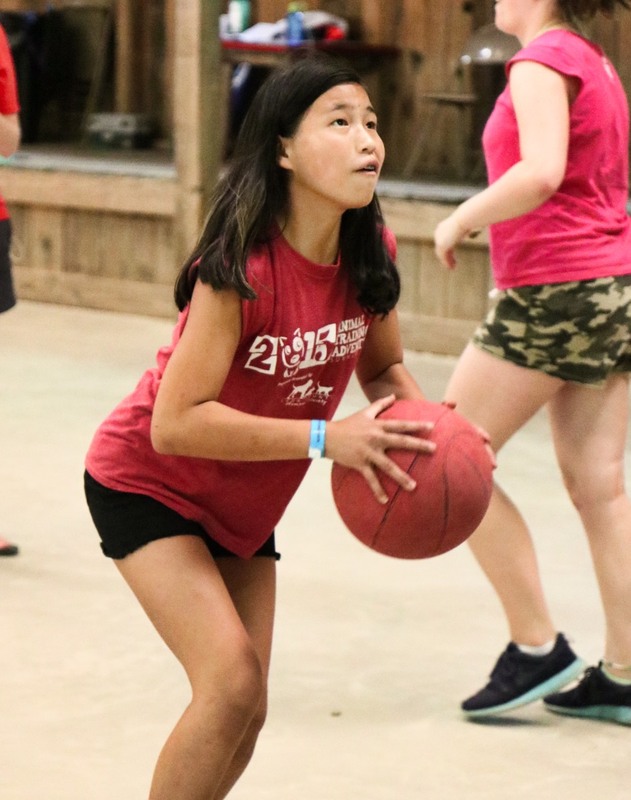 Campers were playing the game “Knockout,” which is a variation on basketball where girls are trying to shoot a basket in the hoop before the person behind them. If they don’t do this, they are out. What was impressive about this, though, was that the game was congenial the whole time. The spirit of Rockbrook is not competitive, so the mood was light as girls tried to shoot their baskets. When campers got out, they chilled out by the fan and the counselor (who had been playing, but got out) was carrying on conversation until a winner was declared. It’s this cooperative, noncompetitive spirit that enables campers to constantly support each other and feel safe stretching themselves beyond what they think their limits are. This was especially true in climbing, where I met up with a group of juniors who were trying to ascend the Alpine Tower. I sat on the log next to a junior and asked her about her climbing experience in the past. She had never climbed at Rockbrook before, but had climbed a few rock walls at home. I asked her how she wanted to go up, and she pointed to the hanging logs, the hardest way up. “I’m going to try, even though I’ve never done it before,” she said. It was an impressive moment—for someone who had never gone on the Alpine Tower to go up the hardest way, she was excited to stretch beyond her comfort zone. As I looked around, though, I realized that Rockbrook was creating a great environment for her to be unafraid to try something hard. All around the tower, I heard cheers of “You’ve got this!” and “You can do this!” These were not prompted by the counselors (who were encouraging in their own ways), but something the campers did intuitively. The atmosphere of camp is one that asks us to always lift each other up, and in doing knowing that others want the best for us and are not focusing on our failures, it makes it easier to challenge ourselves to do hard things. 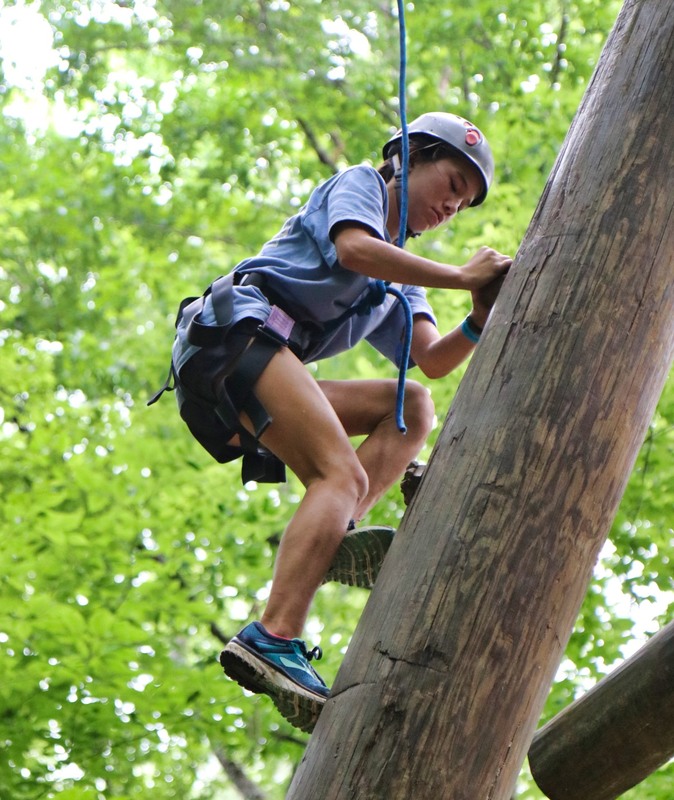 For some girls, even being at camp is a challenge in its own way. Girls are leaving the familiarity and comforts of home, stretching their ability to be independent and make friends outside of their immediate surroundings. Today, now that girls are settled and we have a schedule, it was really fun to see girls who had a bit of homesickness yesterday start to really embrace camp, to think, “I can do this, and it’s going to be fun!” They are finding friends, and they are finding that they are being lifted up by counselors and friends who see the best in them and want to know all about them. As we continue to get settled in, we will continue finding new ways to challenge ourselves and grow in ways that only camp can provide. I live in a mighty cabin on the Senior Line that sits up on a hill amidst the trees. A glorified tree house, if you will. Living with me are two co-counselors and 12, 13-14 year old girls. They are a spirited group of Rockbrook gals with nothing but wit, grit, pep, and cheer who always make me laugh. They are the girls of Penthouse and they are my family. There’s no doubt that all of us here at RBC are one big family. We live together in the wooded mountains for a few weeks during the summer, so we’re bound to be close. 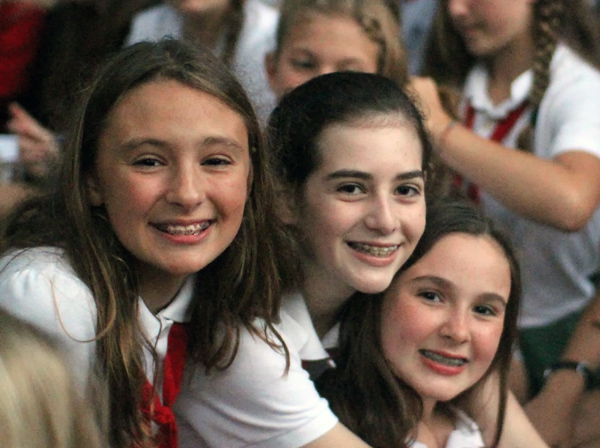 We see each other during meals and activities, Assembly on the Hill, and Rockbrook Surprises, like a shaving cream fight or girl power themed carnival. Yet, it’s the family within your cabin that shares a different kind of bond. Your cabin is your home away from home. 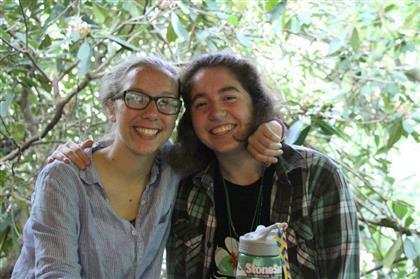 Not only are all your belongings living in it, but so are the people you spend the most time with at camp. Your cabin mates are the first people you see when you wake up and the last you see before you go to bed. You sit together at every meal. You cheer for each other the loudest. You are proud of everything they do. You take care and look out for one another. And most importantly, you love each other no matter what. It’s your cabin mates who turn that cabin into a home. 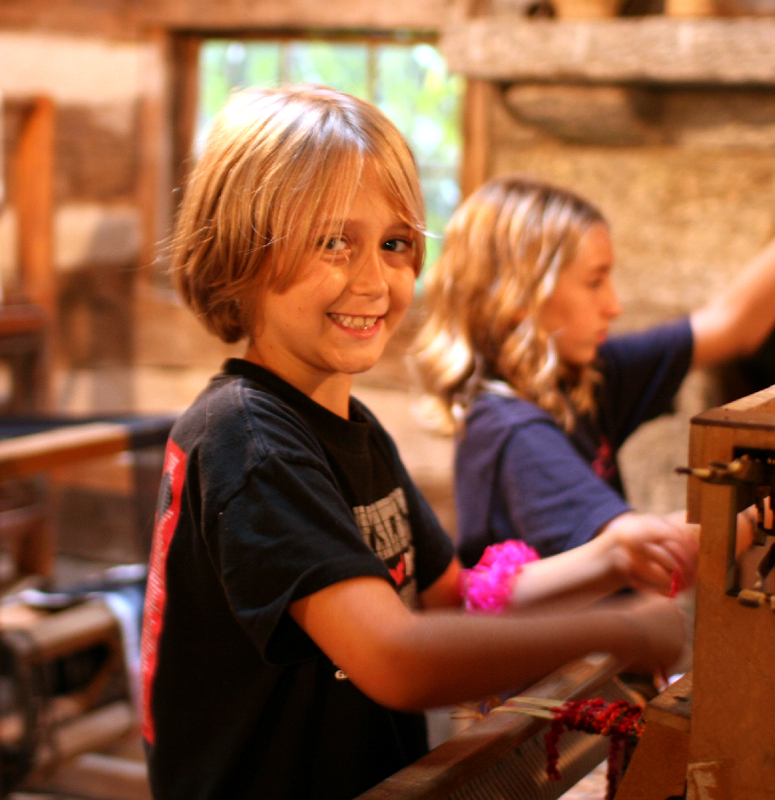 The fun thing about each cabin here at Rockbrook is that, just as every family, each one has a set of customs and traditions unique to just them. From mealtime to bedtime and everything in between. For me, it’s never a Penthouse meal without standing up to sing along to a Rockbrook song at the top of our lungs, or a Penthouse day without hearing “What the Buddha? !” Every night before bed, we do “Rose, Bud, Thorn.” It’s a nice way to share our day. “Rose” is something you enjoyed about the day, “Bud” is something you look forward to at camp, and “Thorn” is something that just wasn’t to your liking. A weekly tradition we do in Penthouse is “Secret Buddy.” Every Wednesday, we draw names out of a hat to see who our Secret Buddy is for that week. Gifts include sweet notes tucked away in a book, or homemade gifts made during an activity that magically appear on your bed. My favorite Penthouse practice is our nightly Mad Lib. Whoever has “Mad Lib It Up” on the chore wheel that day gets to pick the Mad Lib and go around asking for a noun, adjective, verb, etc. Laughter is critical in Penthouse and we do it ‘til lights out. Even more special to a cabin are the memories created within and around it. I have so many to draw from with my girls. Like the time we all gathered on Side C, singing and grooving to the High School Musical soundtrack, audible from down the line. Fourth of July spent on the hill talking about our childhoods as the fireworks boomed and glimmered in the background. Or when we went stargazing together on the hill and found a running man and dolphin in the lingering clouds. As the session nears the end, I’m savoring these final days with my Penthouse, and Rockbrook, family. Looking around the breakfast table this morning, I couldn’t help but be grateful for the time had with this amazing group of Rockbrook girls. Luckily, the wonderful thing about family is that even when you’re far away from each other, whether it be from Tennessee all the way to Poland, the love you have for one another remains. Nie mówię po polsku! PentHOUSE! We’ve got another wonderful video from Robbie of Go Swan Filmworks! 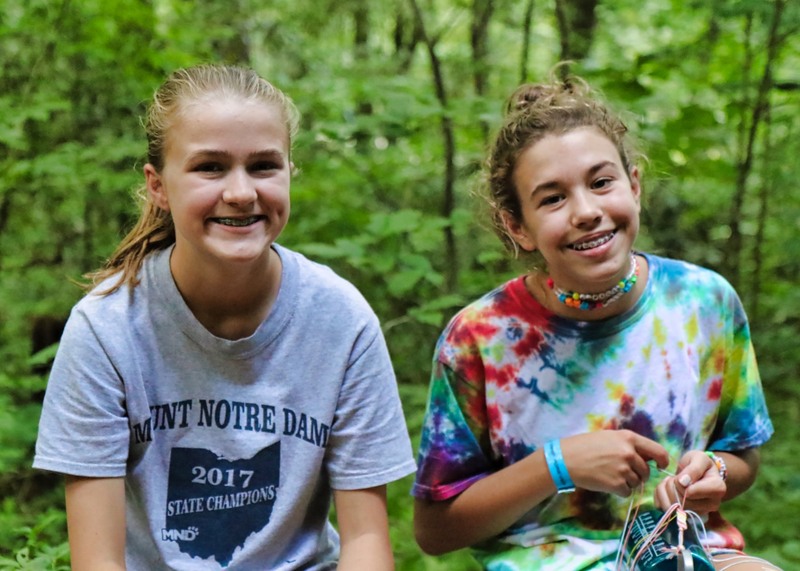 After spending just a day at camp this week, quiet and clever with his camera, Robbie again captured precious scenes from life at Rockbrook and put together this short 2-minute clip. Like the first one from this session, we think you’ll really enjoy seeing it. Closing our long session of camp, as we did today, is always emotional, and often a tearful experience for all of us— campers, staff members, and parents too. Combined with the happiness of reuniting with family members, today brought on a sudden sadness from realizing that everything we’ve been loving about camp is ending… at least for now. Today we had to say goodbye to the freedoms of camp, to all the action, the silliness, creativity and adventure built into everyday of the last few weeks, but more intensely, to all the wonderful people of camp, to the love and support everyone cherishes about life at Rockbrook. 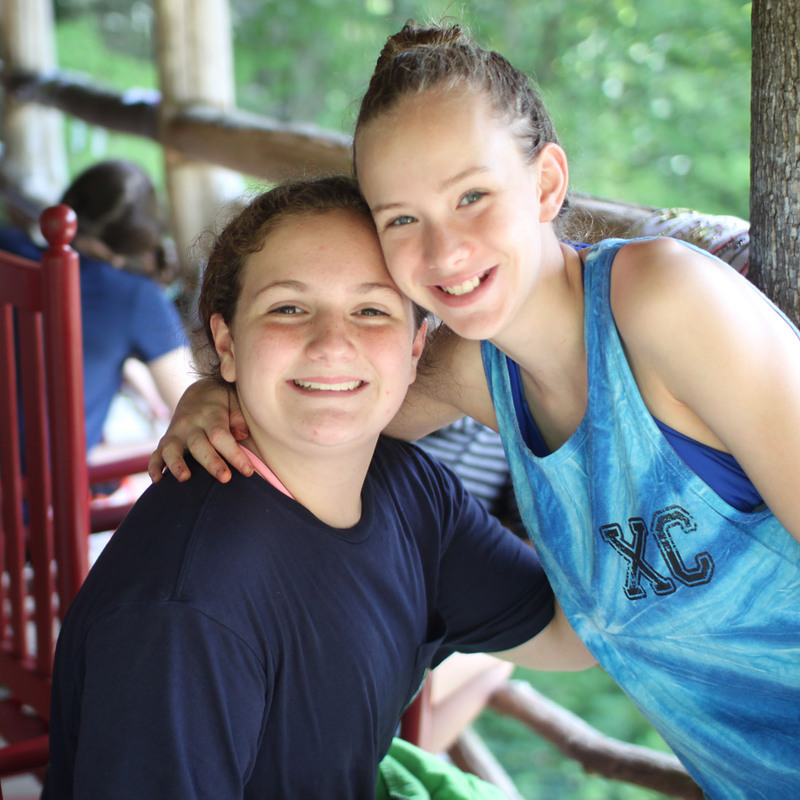 There are friends here, true friends who we will miss deeply even as we know that camp will always welcome us back. It’s been a day of hugs, where we try to embrace, for just a moment longer, how Rockbrook feels and what it truly means. I cannot believe that 10 years have passed since we first made our way up the gravel driveway to camp. It really did not dawn on me until Kaitie came home that this was her last year as a Rockbook Camper. She loves her special time there so much, I guess I thought it would just go on forever. Until I read her statement that she gave at Spirit Fire and saw the tear stains on the ink, I didn’t fully appreciate how much this summer meant to her. I was touched by the raw emotion she expressed and the anxiety she feels about the possibility of never returning again in the same capacity. 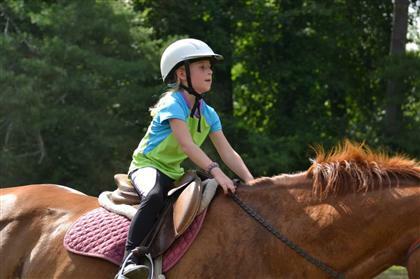 Rockbrook is more than just a “camp” that she goes to for a few weeks every summer. Rockbrook is a part of the fabric of her very being. It is a part of her philosophy of living. She sees the world through the eyes of a 7 year old little girl who found her way through the heart of a wooded mountain, cabin by cabin, to become the amazing young woman she is today. I find it difficult to put into words…it is the way she stands, the way she walks and the smile on her face when she speaks of this special place that is hers. I cannot thank you enough for everything you have given her. I hope you have a great rest of the summer. Know that she is thinking of you every single day. I cannot imagine better thoughts. Thanks everyone for a great session! We’re all looking forward to when we can see you again at Rockbrook. 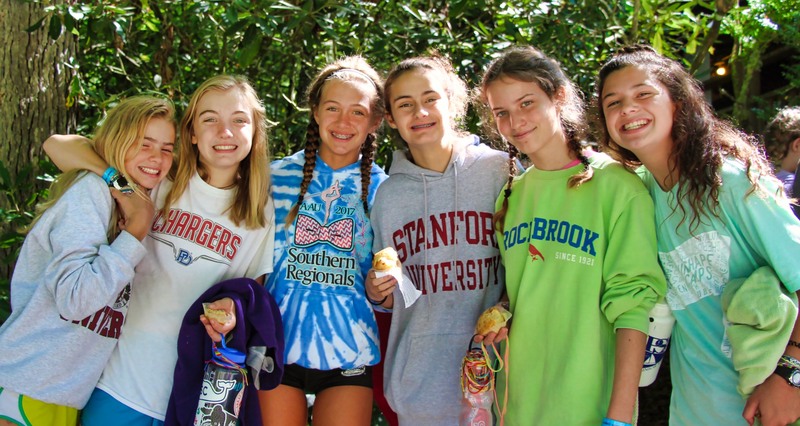 At Rockbrook, our primary focus is always to give campers the time of their lives in a fun, crazy, safe, and exciting environment. Our objective is to give girls the chance to let loose and get a little crazy, and create memories that will last them well into adulthood. We do have another objective, though—one that is woven into much of our programming, often in subtle ways, but at times more explicitly. We know that the girls playing in our camp today will not be campers forever. There will come a time when these girls will be populating boardrooms, operating rooms, courtrooms, art studios, sports arenas, Houses of Congress, and maybe even the White House. Much of what we do here is geared toward helping them to become the strong, positive leaders that they will need to be in the years to come. 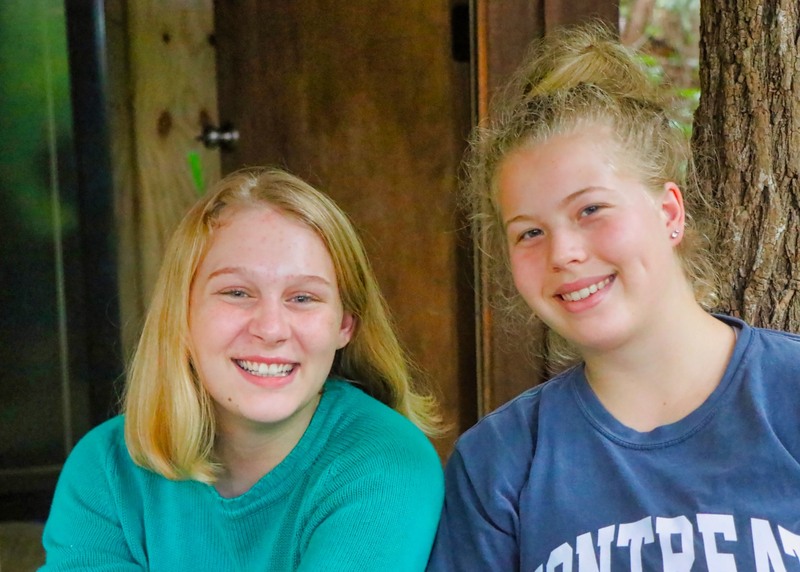 Though, officially, our leadership program does not begin until the summer after ninth grade, we encourage all of our campers to be independent thinkers from the moment they step onto camp on their very first day. One of the most important ways that we foster this independence is by allowing our campers to choose their own activities every three days. 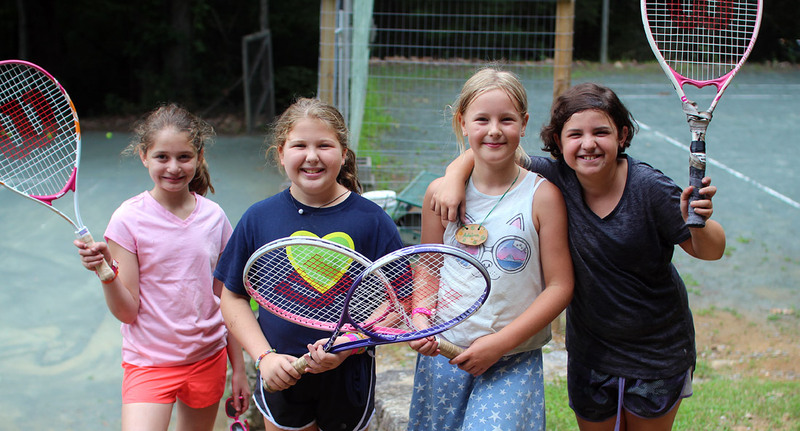 No counselors, no directors, and no parents can tell them which activities to choose—only the campers, be they seven or fifteen, can make that decision. We urge them to choose activities based not on what their friends are choosing, but rather on what they are interested in, what they are excited about, and what activities might challenge them. 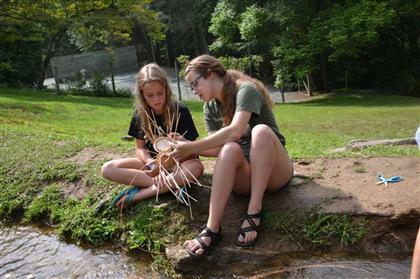 Through this process, campers can learn the immense satisfaction that comes from crafting an experience that is wholly and completely their own. 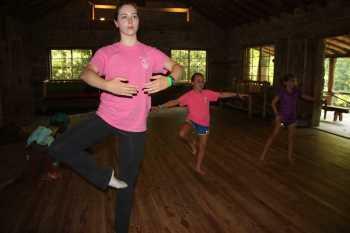 What’s more, our campers put together and perform skits nearly every night with their cabins. 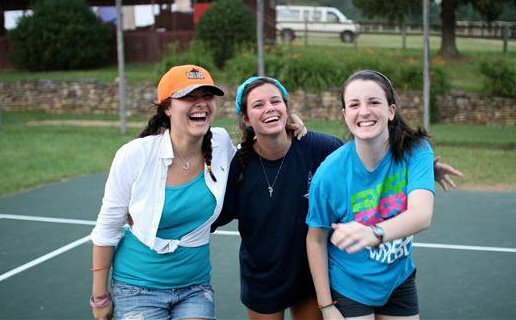 Returning campers look forward to these skits every summer—they are fun, goofy, and often hilarious ways to top off the day. Planning the skits, though, is not without its challenges. Skit-planning requires girls to think creatively, to determine how every girl in the cabin can contribute to the performance, to pool their resources (usually costumes) and use them in a way that benefits everyone, and to make sure that everyone is on board and happy with the process. On top of all of that, the girls aren’t planning the skits under the direction of a counselor. The counselors wait in the lodge, and leave the planning, from beginning to end, to the girls. 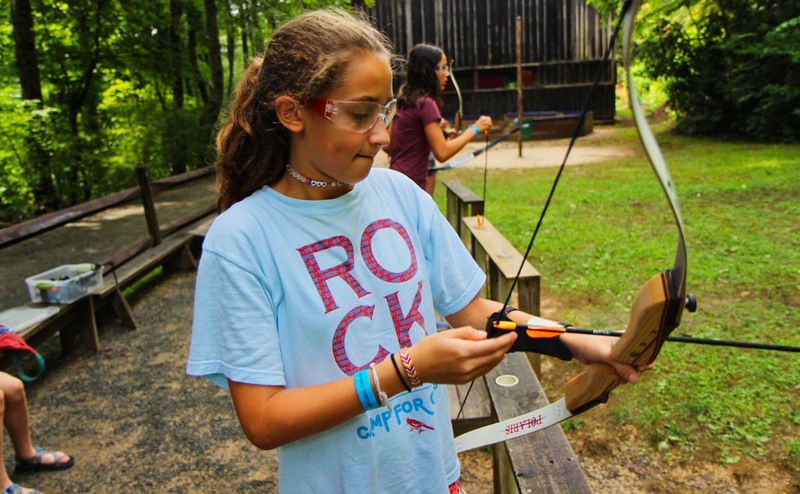 Throughout the session, the campers get plenty of practice in learning to solve disagreements in mature ways that benefit the cabin as a whole, without the interference of an adult. 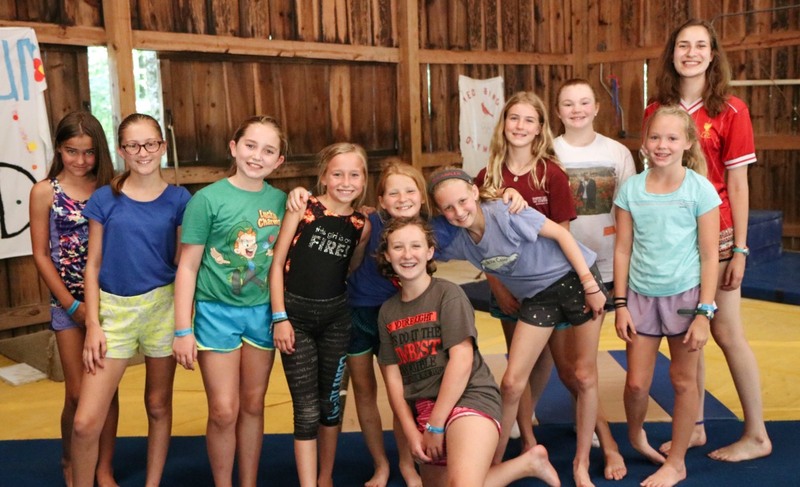 To help this process along, particularly for the younger girls, campers might be assigned days to be the “skit director.” On this night, they are the leader of the skit-planning, and it is up to them to make the tough decisions and make sure that every girl’s voice is being heard. Yes, it can sometimes be messy—as learning new skills frequently is—but our campers often leave here at the end of the session with a better understanding of how to be a great leader of a team, and, sometimes more importantly, how to be a productive member of a team. 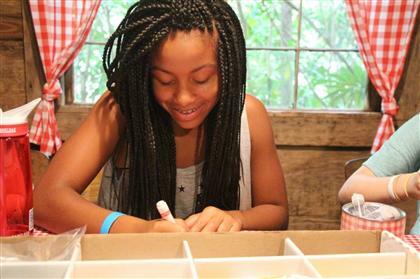 When campers reach 9th and 10th grade, they begin to take on more responsibilities around camp. They shoulder the responsibility of planning an elaborate Banquet as CA’s, then take on the myriad duties of a Hi-Up, many of which are vital to the smooth running of camp. 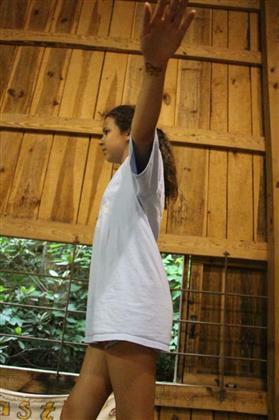 Some girls are always nervous to take on this leadership role at camp. What they might not realize, is that they have been preparing to be leaders, at camp and elsewhere, since the moment their parents dropped them off on their very first day. 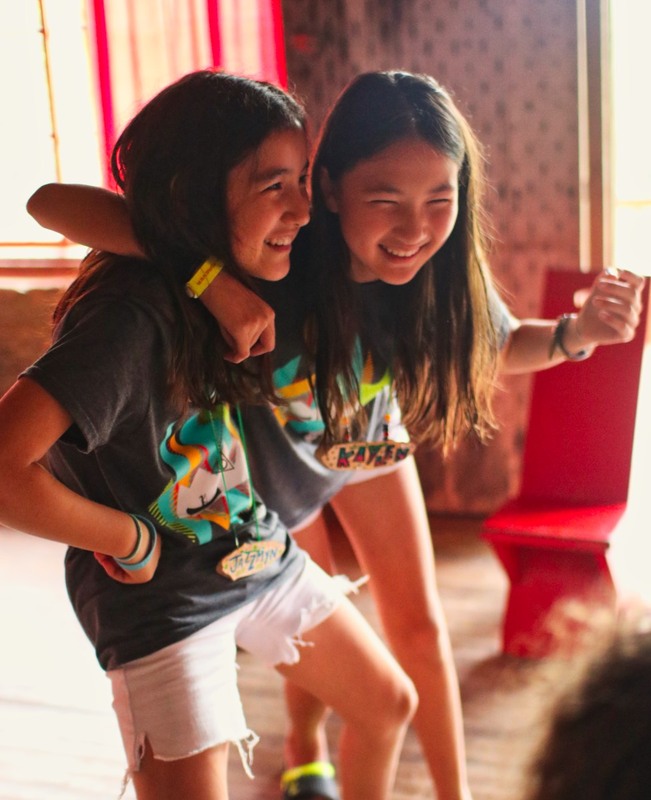 On this first day of activities—the first full day of camp—I am reminded that camp is more than just a chance to retreat from the rigors of the “real world,” to have some mindless fun and excitement, and to make new friends and reconnect with old ones. 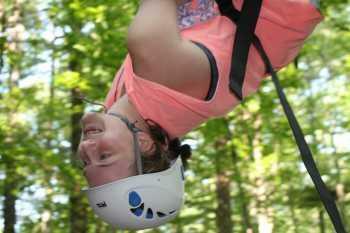 Camp is a place in which campers can become someone new every single day. Most of the 207 girls assembled here at Rockbrook this session wear some pretty standard labels for most of the year: student, daughter, sister, class president, team captain, honor roll student, and the like. They will belong to categories like these for a while, before growing up, and gaining some more exciting ones like lawyer, doctor, engineer. This, of course, is all in the normal course of events. 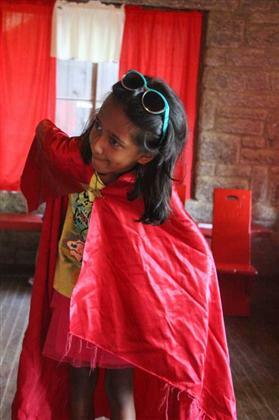 What camp does, is give girls a chance to don a whole host of other identities that most people never get to try. In just one day, I have seen the school-girls who were dropped off here yesterday morph into markswomen, mountain climbers, equestrians, basket-weavers, yogis, archers, and more. I heard them swapping stories at lunch and during free swims. Giving each other tips on which side of the Alpine Tower makes for the best climb, as though they have been climbing for their whole lives and not just one morning. 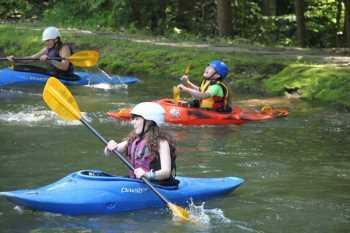 Boasting cheerfully about getting their wet-exits in kayaking on the very first day. Showing their cabin-mates the first steps of the dance that they will be premiering in the dance show at the end of the session. A Junior spent about five minutes this afternoon, explaining to me exactly how long the reeds needed to soak in the stream before they would be pliable enough to make a basket. She had never made a basket before. She was repeating to me what she had heard the instructor say just minutes before. But, in her mind, she was an expert, a basket-weaving professional, when an hour before she had been nothing of the kind. Every day, every hour, almost, these campers get to try something new, become something different, and expand a little more. 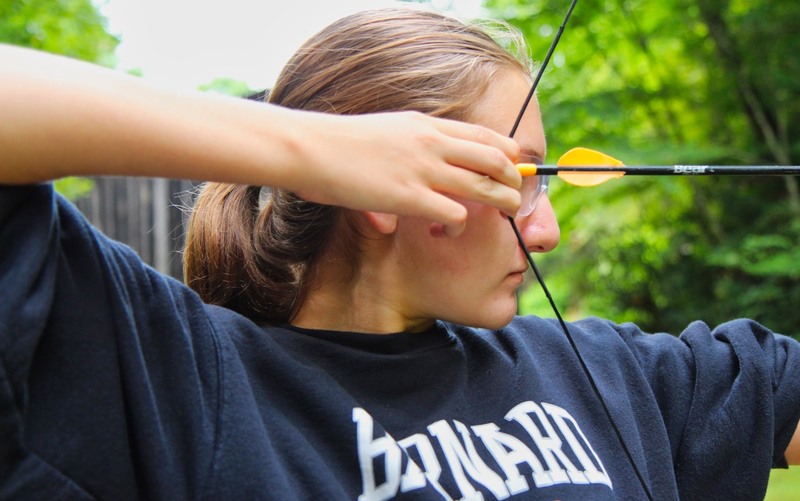 By the end of the session, they might decide that they never again want to be an archer, or a climber, or a basket-weaver—but the hope is that, through all of this experimenting, they will leave here with a bit more of the confidence that it takes to become the varied and interesting women that they will one day grow to be. Today was the final day of camp for our 2014 season, and looking back, recalling all the excitement and action of the past 10 weeks, we’re so grateful for the experience. It’s been a truly remarkable summer. We could point to many reasons for this, and while it’s tempting to list accomplishments or the successful special events that populated our weekly calendar, I think the most delightful aspect has been the bonds of friendship we all gained with the wonderful girls, staff members and directors who comprised our camp community. It was the relationships we formed that will keep this summer unforgettable. Here’s how Lucy Maud Montgomery put it. Thank you everyone for contributing your enthusiasm and energy, your care and kindness, to our time together. We will miss you all. We’ll miss laughing and playing together, supporting and encouraging each other. We’ll miss you, friends, but also look forward to next summer when we can be together again. 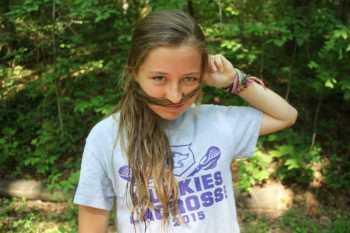 I’m excited to start a new camper spotlight segment on our blog called, “Rockbrook Girls: Out and About”. 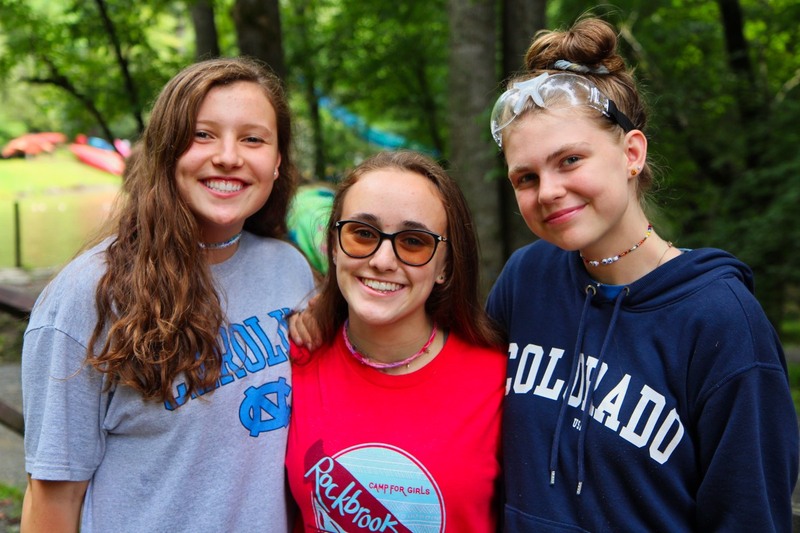 It will allow us to keep up with our camp friends throughout the year, learn some new fun facts about them, and to hear about all of the cool things Rockbrook girls are doing outside of camp. 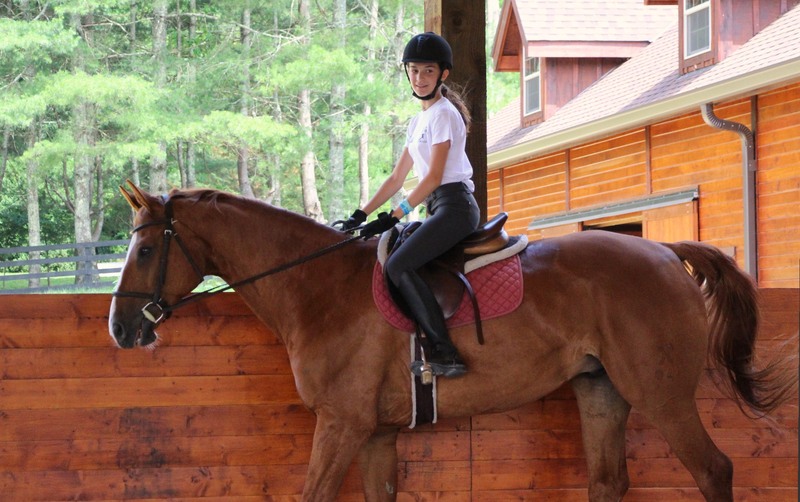 I’m happy to introduce our first participant, Eva, from Brevard. Eva will be coming to our third session this summer. Eva in her role as Cinderella for her schools production of “Into the Woods”. She was awesome! Check out Eva’s answers to our interview questions below. 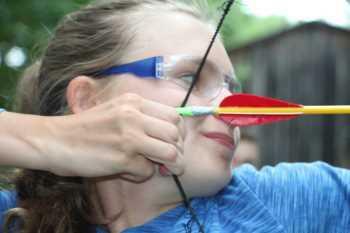 I think it’s a safe bet that she will be signing up for archery as often as she can. She’ll be shooting like Katniss in no time! 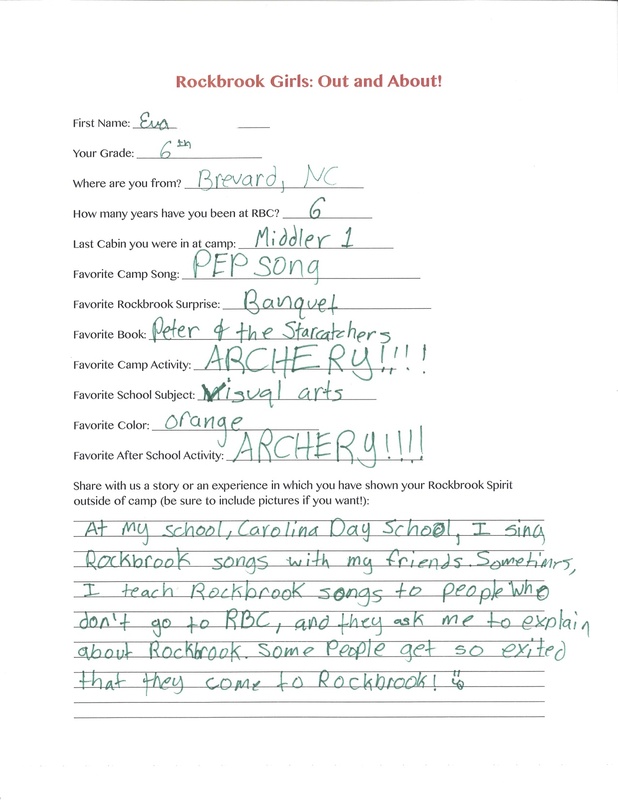 Eva also listed Peter and the Starcatchers as her favorite book. If you’re looking for a new book to read, this one is a real page-turner. Learn more about it here. If you want to be part of our camper spotlight, email me at chase@rockbrookcamp.com for more information. I can’t wait to hear from you!